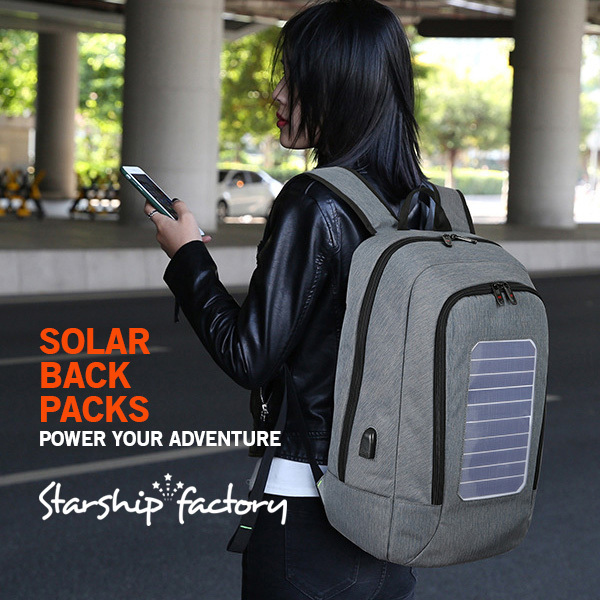 Power your adventure with the Starship Factory. 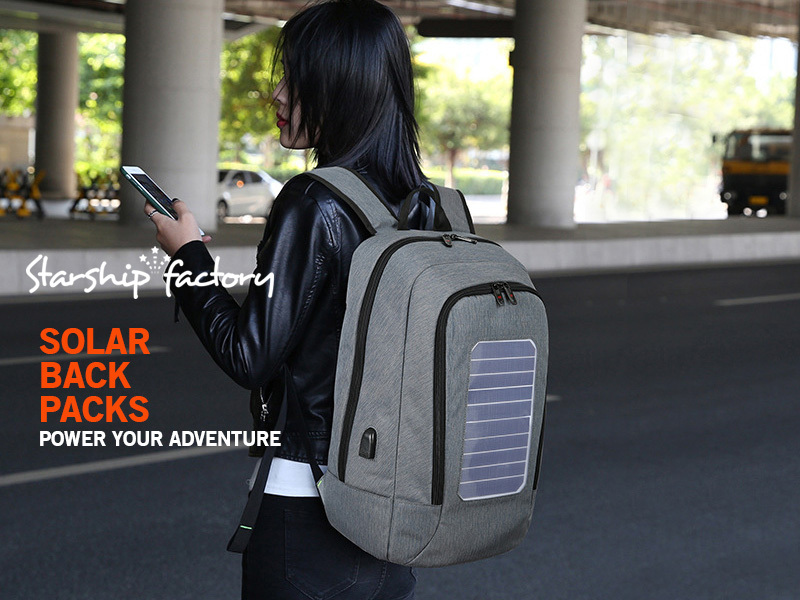 Using the power of our sun to charge your devices with innovative solar backpacks to that will re-energize phones, tablets and laptops. Take your devices with you when out in the great outdoors, on bike tours and when on campus. So long as you have a light source you have the power.